Home » Financial Planning » Mutual Funds » Systematic Investment Plan (SIP) for every dream. Systematic Investment Plan (SIP) for every dream. 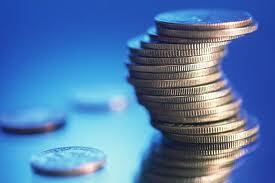 SIP is a method of investing a fixed sum, regularly, in a mutual fund scheme. SIP allows one to buy units on a given date each month, so that one can implement a saving plan for themselves. An SIP is generally preferred for an equity scheme and can be started with as small as Rs 500 per month. The biggest advantage of SIP is that one need not time the market. In timing the market, one can miss the larger rally and may stay out while markets were doing well or may enter at a wrong time when either valuation have peaked or markets are on the verge of declining. Rather than timing the market, investing every month will ensure that one is invested at the high and the low, and make the best out of an opportunity that could be tough to predict in advance. SIPs thus make the volatility in the market work in favour of an investor and help in averaging out the cost called “Rupee Cost Averaging”. For example, with Rs 1000 one can buy 50 units at Rs 20 per unit or 100 units at Rs.10 per unit depending upon whether the market is up or down. Thus, more units are purchased when a schemes’ NAV is low and fewer units when the NAV is high. Hence, when the two cases are taken together, cost is averaged out. The longer the time-frame, the larger are the benefits of averaging. SIPs also help in availing benefits of compounding. This means the earlier one starts an SIP and longer the investment horizon, the larger the benefits. The reason being, each rupee one invests earns a return, which ends up as more rupees to earn a return, allowing investment to grow at a fast pace. Higher rates of return or longer investment time periods increase the principal amount in geometric proportions. This is the single most important reason for investors to start investing early and keep on investing on a regular basis to achieve the long-term financial goals. Small investments made at regular intervals over a period of time may add up to a neat kitty. In due course of time, a small amount can grow into a significant amount. The above graph beside illustrates the difference in the value of Rs. 100000 invested @ different rates of interests for 30 years. Having a long tenure of investment horizon will help investors create more wealth for them. To do so, one needs to start early to take benefit of compounding. No matter how small your installments are, over a period of time it grows to become a large corpus without having to worry about the market volatility. 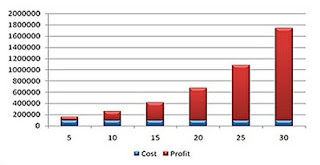 The graph above illustrates that by starting early, you give your wealth more time to grow. Suppose you invest Rs. 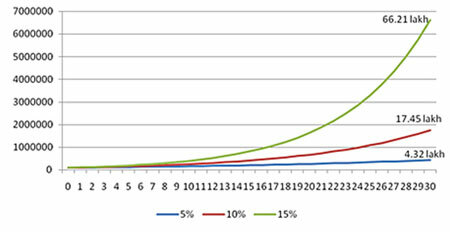 100000 at different time periods and the rate of returns is assumed to be 10%. You can see that even a 5-year period delay makes a significant reduction in the overall creation of wealth. Start investing and live wealthy..